Home / acer / contest / event / laptop / #PlayMusicTogether campaign for this year #AcerDay. #PlayMusicTogether campaign for this year #AcerDay. Acer kicked off its annual Acer Day celebration last July at the Glorietta Activity Center. 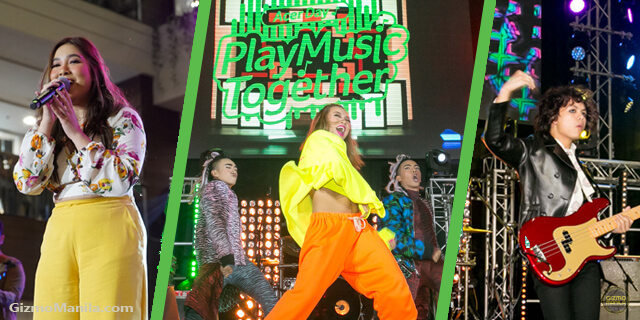 Themed “Play Music Together”, the launch event doubled as a concert and dance show featuring Moira dela Torre and IV of Spades, both youth music icons of today, as well as renowned dance troupe the G-Force. Read More: Join Acer Day Music Video Fest with PHP 500,000 worth of prizes. communication. As a testament, the Acer Day Launch Event brought together Moira Dela Torre and IV of Spades, 2 artists that are making waves in the music industry today, for an unforgettable duet that’s sure to be one for the books. Of course, doubling down and making the music truly come alive was the G-Force dance troupe, who delivered a live show-stopping performance of the Acer Day dance to delight the crowd. customers may catch their favorite artists and score awesome treats and discounts! On top of that, from August 3 until September 17, more discounts are in store for those who visit and complete the first challenge at any of the 33 Acer Concept Stores. By doing the Dance challenge in the Acer shirt and cap, and sharing it on Facebook and tagging 30 friends. You may get get P 1,000.00 off up to P 5,000.00 off outright from their purchase of any Swift, Spin, Nitro, and Helios model! Acer also announced the Acer Day digital concert together w/ Wish FM 107.5 and the Acer Day Music Video Fest with PHP 500,000 worth of prizes.